Called “neolani” or “dew from heavens” by native Hawaiians, coconut water is known to be a supremely hydrating ingredient that is tapped from young green coconuts. A staple of tropical nations for centuries, coconut water has surged in popularity in recent years to become the epitome of a modern, healthy lifestyle (we even have some in our fridge). While most of the coconut water we buy in stores comes from coconuts that fall along sandy shores around the Pacific, we source our coconut water from certified sustainable sources in the Phillippines. 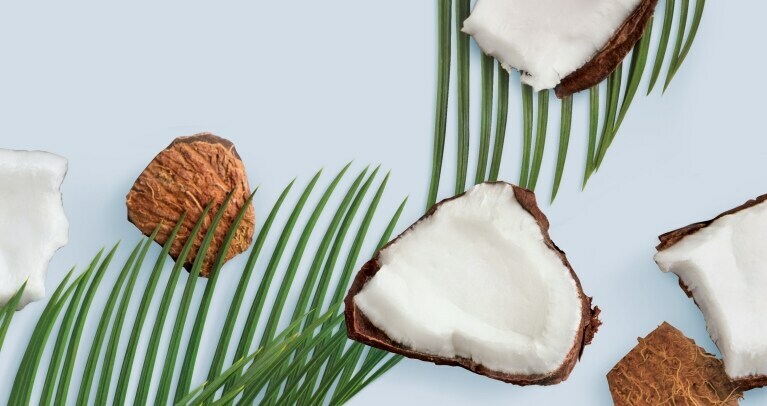 Known as a supremely rehydrating ingredient, we infuse coconut water into formulas that help replenish and revitalize your skin and scalp without weighing hair down.